This new design has a patent pending on the ingenious shelving system. It features three different ways to customise your storage. By adding or removing a part of each shelf you can accommodate very tall items like mops and rakes or, by flipping the removable section, gain compartments for storing smaller bits and pieces or, thirdly, maximise the flat surface of the shelves by leaving this section in place. These are a very popular product and all our customers are very happy with them. We do stock parts so if anything goes wrong during delivery we can send you replacements immediately. 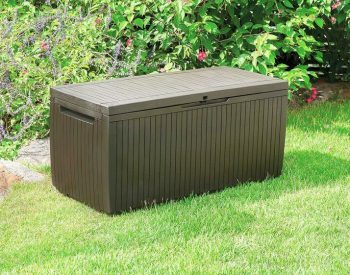 The Optima Outdoor is a compact, all weather resin storage cabinet designed to maximise your outdoor storage space. This unit offers high resistance to UV and environmental elements, with a reinforced roof and elevated base to support extra heavy loads while protecting from rain, cold, wind , heat and dust. 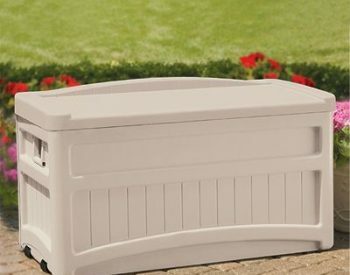 Advanced spring hinges and large grip handles enable smooth opening and closing plus lockable doors give added security in any outdoor setting. The stylish design will look right at home in the workshop, garden shed or on the balcony/patio. Great product. Good price. Excellent service. Highly recommend! Great quality product, exactly as described! Suits my needs perfectly. Would definitely recommend. 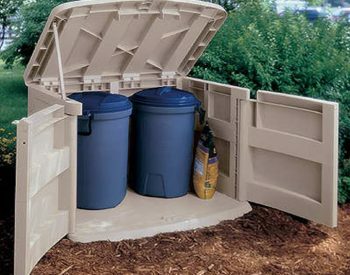 First impression is that this is good outdoor storage. In general I found it easy enough to assemble, with the majority of parts fitting together well. Some of the screw holes on the shelves needed to have the holes opened so that I could see where the screws were supposed to go. I've started moving things in to it, and find the the load capacity of the shelves and height adjusts enough to fit a lot. I would buy another if I need more outdoor storage. OPTIMA WONDER OUTDOORI bought two of these and they are perfect for my application. Delivery was fast and I am very pleased. 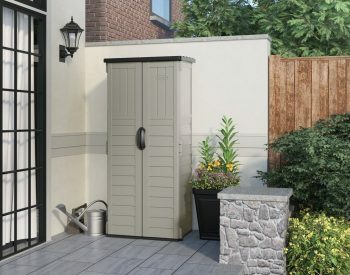 OPTIMA WONDER OUTDOOR STORAGE UNITSFabulous units and fast delivery service. Thanks, I have purchased a couple of your other units over the years and you never disappoint me with your speedy delivery and great products. DonoghueJust perfect for what we wanted. Prompt delivery and easy to follow assembly instructions. Second one bought.I have had one outside under a patio for a few years. I hate spiders and have not seen one or evidence of one inside it. We needed a temporary pantry for inside so I didn't hesitate to buy another one. It will probably go outside to ease the extra load that I have in my first one once it has finished its use as a pantry. The only problem I have had is that some of the plastic that should have been trimmed off to make it easier to put together wasn't always trimmed. It won't stop me getting another one if I need it, or another Keter product. Arrived safely and amazingly packed, assembled quite easily with enclosed instructions, sure looks better than the old plywood box we were using. Highly recommended. Great product and serviceReally great product. So practical and fantastic service from Landera. Very happy. 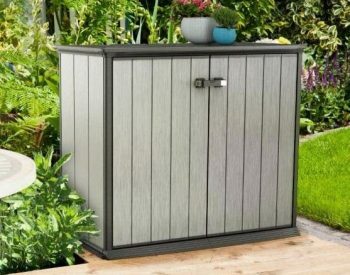 Great Outdoor Storage Solution - I'm buying anotherExactly as expected and it stood up do some decent rain too - all dry inside. Very happy with additional outdoor storage. I note that the top is actually flat, so if you plan to have it on a perfectly flat surface water will pool on top. It is on the slightest of slope in my case, so no problem. 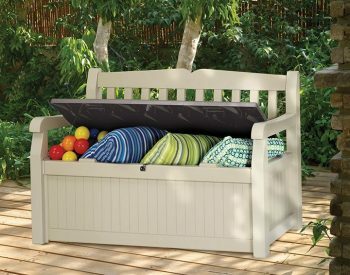 Great cupboard for outside storage under the patio and it was easy to assemble! 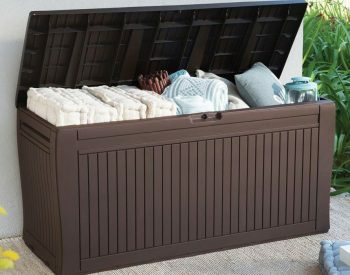 Remarkably easy to constructAfter looking around for months for a small but sturdy storage cabinet to fit down the narrow side of my house, I finally selected the Keter Optima Wonder. Delivery was very prompt and the shed was remarkably easy to construct. The engineering that went into designing and packaging this cabinet is amazing. From its compact and efficient packing, through to the clever and fool proof construction design and instructions, this product is genius. Reinforced but light weight bearing shelves, clever shelf reconfiguration options, strong door hinges and dust/waterproofing seals are all clever. Everything fitted well, no left over parts and it looks great. Am actually thinking about buying another one. Keter engineering is very clever, just wish I had a bigger backyard so I could get one of their larger sheds. Perfect Little ShedThis is a perfect little shed for tight spaces and holds all my gardening needs. I have had it for 9 months and found it to be sturdy and waterproof. My husband and I are in our sixties and assembled it ourselves. We did have a bit of trouble attaching the hinges but once we worked it out it wasn't hard at all. It fits nicely next to our water heater and is even a close colour match. We are more than pleased with our purchase and even our neighbours were impressed. 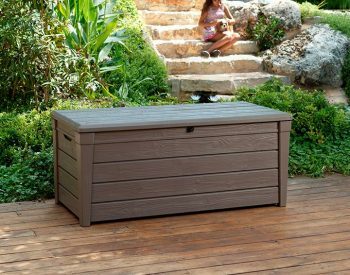 A great storageIt is very good for outdoor storage purpose. The size fits into the space in my garden perfectly. 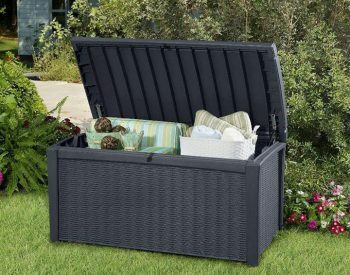 It holds a lot of garden equipment. It took my boyfriend a little bit time to assemble it up. But the finishing product is all good. Great shedThis is a great shed. I didn't expect it to stand up to the rain and wind, but it has done so very nicely. The top shelf sags a little, but I can live wth that. Outdoor cupboardJust what we were looking for! Highly recommendThese are fabulous. 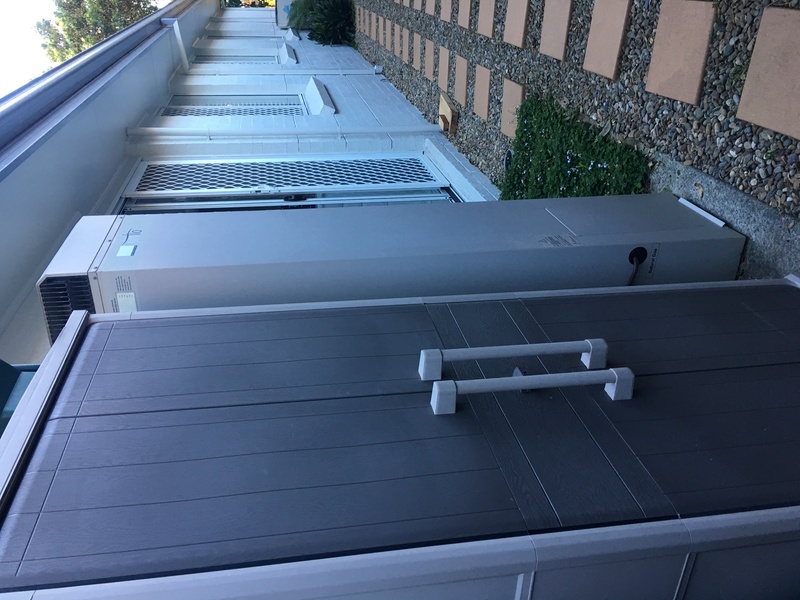 We have two down the narrow side of our house and use them to store outdoor cushions, sports equipment, tools and gardening equipment. Some issues building first cupboard as a hinge snapped but the second was a breeze to build. GoodThe shed is very good value and is as advertised. The only issue I had was with the hinges but the service and replacement of hinges was fast, helpful, and friendly. The unit itself is of good quality and has held up outside exposed to the elements. KETER OPTIMA WONDER OUTDOORSome installation and dammage problems with the first one, but are very happy with it. This shed has many parts to put together, but instructions were clear and the only difficulty was with the hinges - I think one broke, but there were replacements. It's been in place for a few months now, and has stood up to a lot of sun, wind and rain, so far no leakage. The top shelf sags a bit but it has a lot of weight on it, garden fertilizers etc, and it functions well. Doesn't hold a huge amount, but much smarter than your average tin shed, and just right for my courtyard. I bought this cupboard, assembled it and loved it so much I bought a second one. Delivery was quick (ordered Sunday, delivered Wednesday). Construction is very easy, I built it myself within an hour or two. Instructions are clear and easy to follow, all pieces are labelled and all screws are in separate labelled bags which was really helpful. The only tool needed is a phillips screwdriver. Parts clip together easily, holes for screws are well aligned. The cupboard is sturdy and great for storage. The different shelving options are a nice touch. 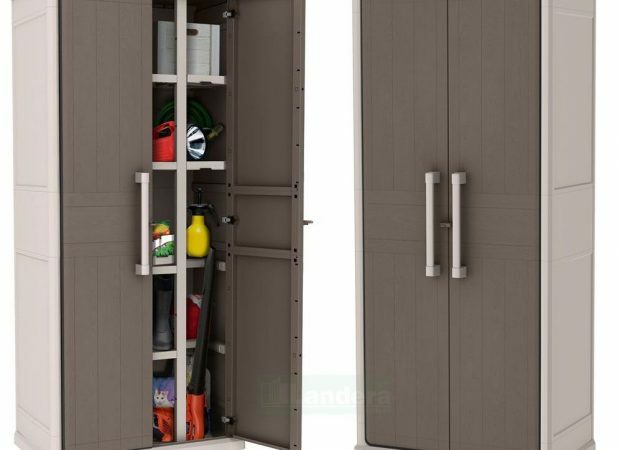 The cupboard looks good and is well designed. Great product. 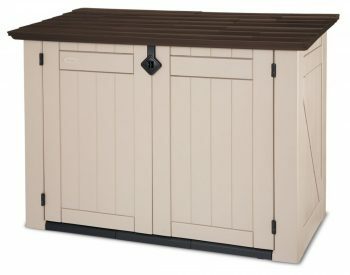 I brought this outdoor shed to store garden supplies. It was so easy to assemble. The instructions were very clear and the components easy to identify. After 2 weeks outside in the wet weather it has passed the test for water tightness. Thank you for a great product and quick delivery. Will purchase other products. Ordered Thursday, delivered the next Monday. Instructions were clear. Had help but was very easy to assemble. The Identification symbols etc on the pieces were not easy to find/read, but setting them out to use helped immensely. We made one mistake in assembly, but that was because we did not read the Step properly. Our fault. All in all: ordering was simple; delivery timely; easy to follow instructions and easy assembly. Oh, and it looks good too, plus the section to stand up brooms etc is fantastic. I ordered this item but it was delayed. The company kept me up to date on the delivery time by email. When the item arrived there were 2 pieces that were split. I rang the company and they were very helpful and sent replacement parts immediately. The unit was easy to put together and instructions were very clear.I assembled it myself and had no problems.in fact, it only took me 45 mins. I would recommend this company to anyone as they are polite, respectful and efficient. In todays standards, that is pretty rare. I was a bit worried about putting this together, but it was very easy, with clear instructions. If you can put together any flatpack you'll be right. I only had some trouble with the hinges. Thankfully extra hinges were included and were required. Very pleased with this product overall and happy to recommend it. Good water-resistant durable outdoor cupboardAs easy to put together as any Ikea product, but unlike an Ikea cupboard, this one won't get destroyed by water. 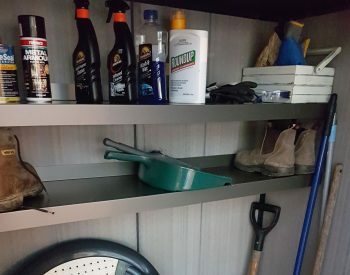 This isn't a heavy-duty cupboard, but it does the job cleanly and well. Be careful with the door hinges are they are very easily broken during assembly - I broke one even though I was following the instructions, but fortunately they had included two spares in the box. Verdict: fit for purpose; does the job well. Do I recommend it? Yes. 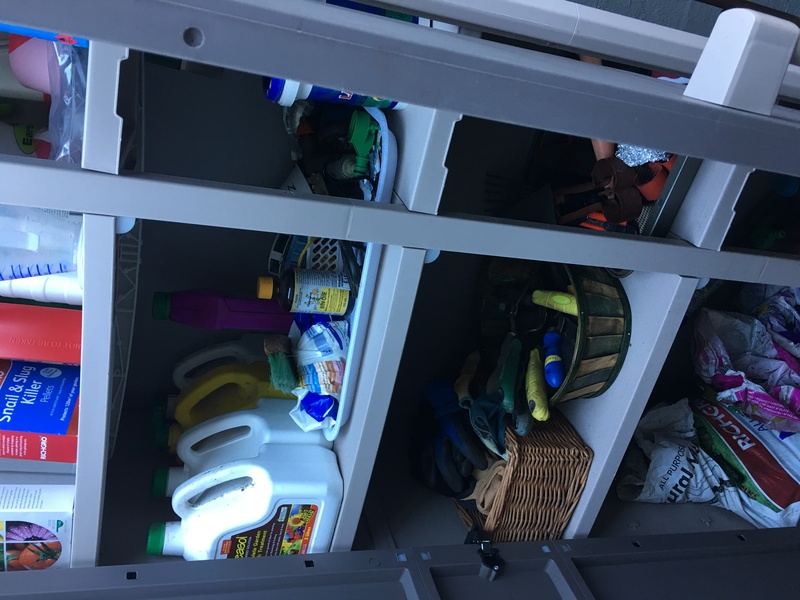 I needed some extra storage outside to store garden tools and chemicals and fertilizer etc. It needed to waterproof and resist the heat through the summer months. The KETER OPTIMA WONDER OUTDOOR was perfect and looks great, easy to assemble and the contact service from Landera is exceptional. I was so excited this morning when I went to open my WONDER CABINET and not a drop of water inside. This cabinet was standing in the full force of the pelting rain for hours and hours. I am so thrilled as I was told by a few people that there is no cupboard that will be able to stand outside and not leak with driving rain..... but I went ahead anyway... and so happy I did. This looks great beside our shed. I use it to store garden tools and chemicals and fertilizer etc. It is waterproof and has resisted the heat in our outback location through the summer months and still looks great. 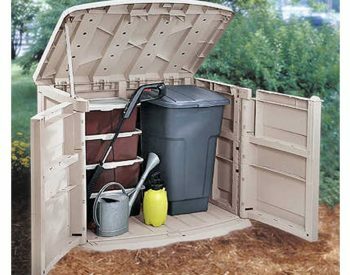 This is a great storage shed, very stable and (so far) waterproof. I did have help putting it together as it needs to be assembled.